The 62nd London Film Festival was held this year (2018). With most of the cinemas around central London given over to the festival, around 250 films are shown over the 12-day festival. This year it was curated by Tricia Tuttle from the British Film Institute and took in submissions from 77 countries across the world. The advantage of the theses is that often they are timetabled in such a way that you can get to see the films rather than have to figure out how you are going to fit the films in whilst having to get from say Soho to the Southbank. The animated features, as reported on 30 August 2018 were Gordon and Paddy, Mirai, Pachamama and Dilili in Paris. And so it was I found myself braving the Sunday trains for a couple of weekends to experience the LFF 2018. 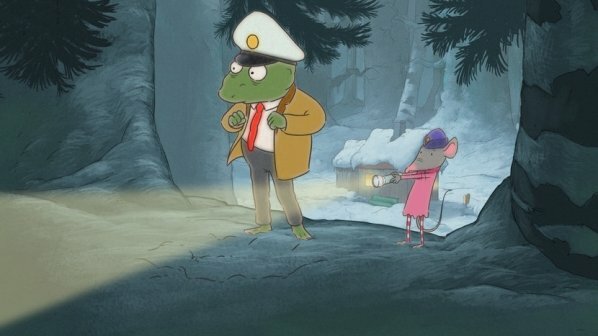 On 14 October saw Gordon and Paddy, a Swedish production by Linda Hambäck. Based on a series of books for children you could see who the audience was intended to be. It was a wonderful, gentle and well animated production. Knowing nothing more than was in the festival guide I went in with no expectations and thoroughly enjoyed it. The Q&A afterwards with the director was a treat as well. That evening I was able to see Mirai , the latest from Mamoru Hosoda, at the IMAX on the Southbank. The auditorium was packed! It was full of people of all ages and interests. I went in with some expectations which were more than exceeded. 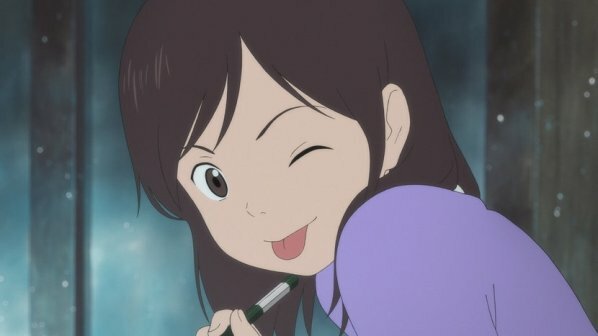 I loved Mirai and it was clear the audience did too. Twitter is awash with positive comments and it has garnered good reviews from critics from the Guardian to the Telegraph. The following weekend was the turn of the remaining two feature-length animations Dilili in Paris from Michel Ocelot and Pachamama by Juan Antin. I have to admit a slight trepidation going into Dilili in Paris as whilst I enjoyed Tales of the Night there was something about Ocelot's animation that felt odd. Dilili blew me away though. 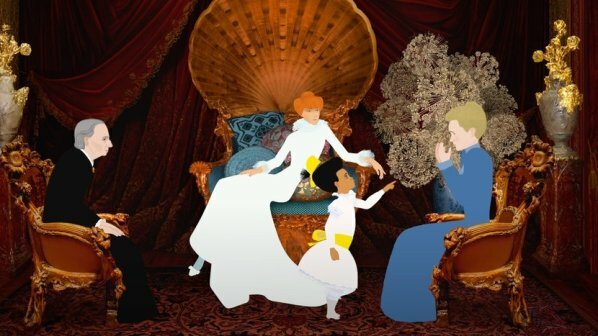 After a few minutes I was transported to turn of the century Paris and at times I forgot I was watching an animated feature such was the quality of the character animation and the backgrounds. Coupled with the story (a tale full of wonder with a dark twist late in the film) it was easily my favourite film at the LFF. It's probably one of my favourites for the whole year. Juan Antin's Pachamama was getting its UK premiere at the festival having had its world premiere at Animation is Film. This was the only film of the four I watched to have an English language dub. I had a good time watching it but it came only a few hours after Dilili so its impact was diminished. After the film Juan Antin and the producer Damien Brunner took part in a Q&A where we learnt about the journey of Pachamama from page to screen - it started out as a stop-motion film and then became a 3D animation. Also, they have taken 14 years (including working up reference material and its production) to bring it to the screen. The LFF is a festival for the public and whilst there are press people in screenings most of the audience are members of the public, or in the case of the films I saw, families. This means there are usually tickets available to see films on the day. It also creates a great atmosphere during the screenings. During one of the quieter moments of Mirai a young voice called out "is that world war 2 daddy?" and during Dilili in Paris you could hear how the jokes or references landed with different groups within the audience. It's quite remarkable too how your experience is influenced by those around you, generally enhancing the emotion of particular scenes. There was a moment in Gordon and Paddy where there were sobs from some of the children in the audience and it made me look on the scene in a different way. What would be great to see at future events are animated features not solely in the family section. I'm sure this is something that the festival curators wrestle with. I'm sure they could fit something like Perfect Blue into a strand like Cult or Thrill. Classic restored animation could have also fit in the Treasures strand this year. If you have any interest in animation or live-action film and there is a festival near you, I would urge you to go and experience it. 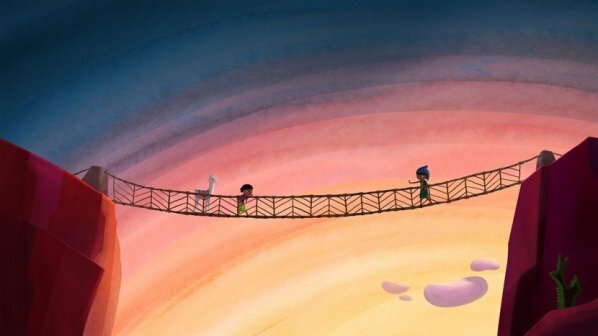 I had a great time at the London Film Festival and got to see some animated films in the way that they were intended to be seen with its intended audience. 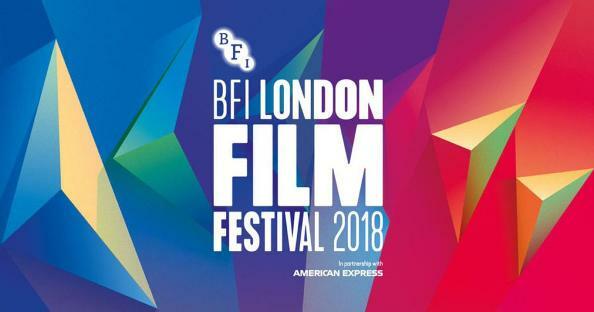 If you are in or near London during the LFF (normally towards the end of October) it is well worth checking out what is showing as there are often tickets available last minute and you could get to see something that will stay with you forever.